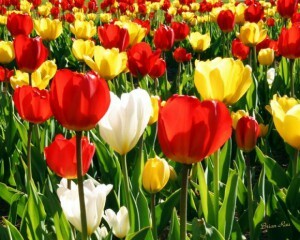 Truro, home to the Truro Tulip Festival and the “Hub of Nova Scotia”, provides is visitors with a wide range of services and attractions. Look for interesting sculptures of historical figures carved from elm trees. Take a walk through Victoria Park and perhaps picnic near one of the park’s two cascading waterfalls. Visit the Tidal Bore Interpretive Centre to witness the arrival of the tidal bore – a wall of water that rushes up the Salmon River twice daily. 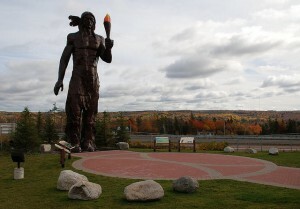 A new attraction in the Truro region, the Glooscap Heritage Centre first opened in May 2006. Visit the centre to hear legends of Glooscap and learn about the fascinating Mi’kmaq culture. Have your picture taken beside a 40ft statue of Glooscap, immerse yourself in a multimedia presentation in which Glooscap guides your through the trials, tribulations and survival of the Mi’kmaq people, view 10,000 year old Aboriginal tools and traditional quillwork, beadwork, clothing and artifacts and learn to speak a few Mi’kmaq words. Truro’s Victoria Park is an 1000-acre natural park featuring activities for everyone. Enjoy a picnic lunch, hike a challenging trail, take a refreshing dip in the pool, play a game of tennis or baseball or follow the winding stream to its end to view two stunning waterfalls. I recently saw a video that had a pink bridge and highway and the video indicated it was in Truro, NS. Is there such a highway/bridge. We were in Truro a few years ago and do not remember seeing this but maybe we did I don’t know. We are coming to NS again this summer and it would be interesting to see. Video indicated it was on the transcanada highway.